If you want to have a different hairstyle every day, but don’t want to spend time and money on a hairstylist, then you should learn how to do your hair on your own. And the easiest way to learn it is of course through the versatile step-by-step tutorials that you can find all over the Web. So, since we are always here for you to bring you the best tutorials, today we want to add several more easy hair tutorials that you can get inspired from. 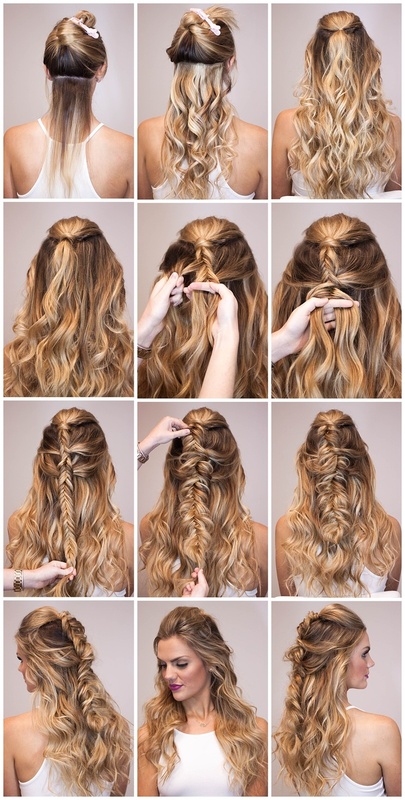 These hair tutorials are quite versatile, so we believe that each one of you will love to try them. They are perfect for an everyday look, as well as for some special occasion. So, whether you want to have a braided hairstyle, or you want to wear your hair in some bun or updo, we have got you covered with these easy hair tutorials. Go ahead and check them out and choose which one of them you will try first. An easy hairstyle for when you are on the go and need to have a polished look. Attending a party tonight? Well, how about you try this double knot? It will look great in combo with your fabulous dress. 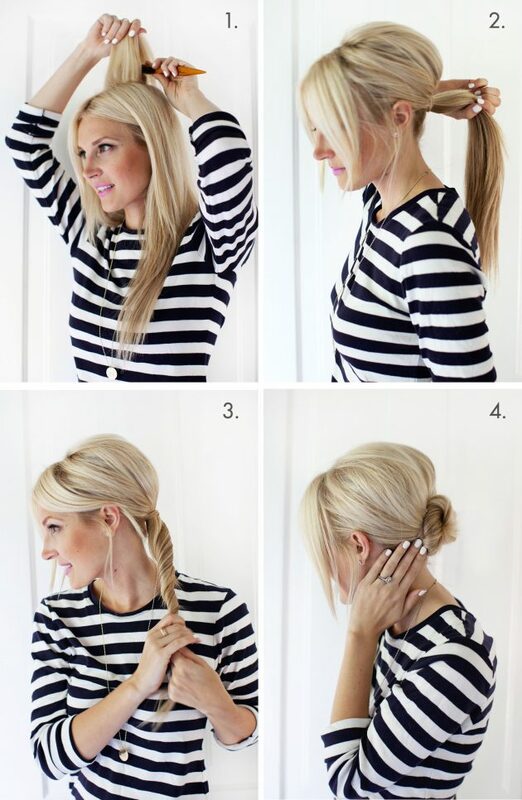 A ponytail is not only for the gym and you can style it in many different ways. For instance, how about you try ti pull off this woven ponytail look? 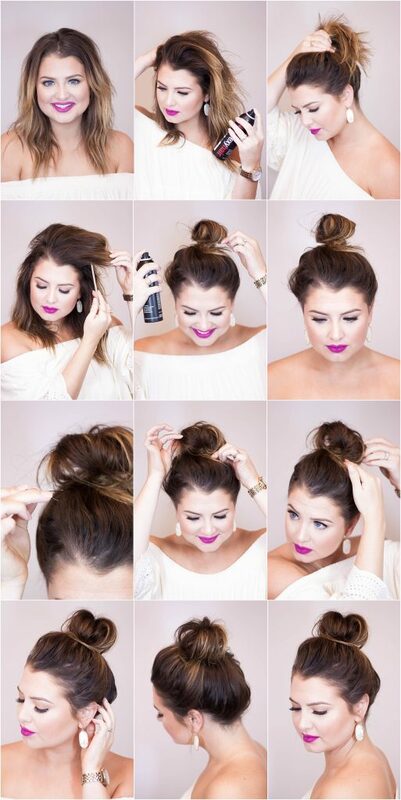 Top knots are quite popular, so you may want to update your Instagram profile with some top knot hairstyle. Here is how you can easily do it. Here is one more hairstyle perfect for some special occasion, this time including an edgy braid on the side. Dutch braids were one of the trendiest braids for the past season, so maybe you can take them to the next level and finish them with high buns. This next tutorial is another great braided hairstyle that draw some attention. 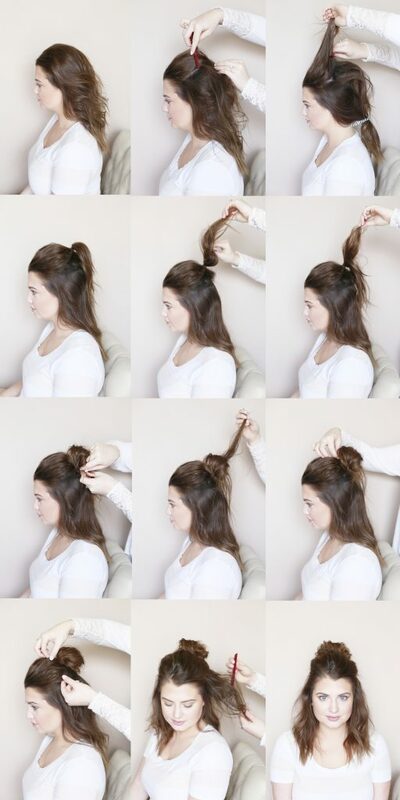 And of course, you can never be wrong with wearing your hair in a bun and this next tutorial is one of the easiest ways of how to pull off this hairstyle. Half up hairstyles are also quite popular and instead of wearing it simple, you can do a messy top knot. The simple braids can be taken to a higher level if you twist them in baby buns. And this one last hair tutorial for today is of a double side -roll and it is a perfect choice for your next special event. So, which one from the above easy hair tutorials would you try to copy? Tell us in the comments and don’t forget to stay up to date with the content of Fashionsy to find many other step-by-step hair, makeup and nail tutorials.